Many businesses in the country rely heavily on diesel-powered generators for electricity as power supply from the national grid remains poor. Our correspondent observed on Monday that some filling stations in Lagos had increased the pump price of diesel to N250, while many others sold it at around N230-N245. The average price paid by consumers for diesel increased by 1.76 per cent month-on-month and 14.52 per cent year-on-year to N211.64 per litre in September from to N207.98 in August, according to the National Bureau of Statistics. It said states with the highest average price were Borno (N245.83), Taraba (N235) and Sokoto (N228.33), while those with the lowest average price were Edo (N197.28), Katsina (N195.63) and Rivers (N190). The Chief Executive Officer/Executive Secretary, Major Oil Marketers Association of Nigeria, Mr Clement Isong, in an interview with our correspondent, attributed the diesel price hike to the increase in global crude oil prices and inadequate access to foreign exchange at competitive rates by private marketers. Unlike Premium Motor Spirit (petrol), diesel has been deregulated and its pump price is adjusted to reflect the reality in the global crude oil markets. International oil benchmark, Brent crude, recently rose to a high of $86 per barrel. “The challenge in Nigeria is that MOMAN members struggle to access forex at competitive rates. If you are going to access forex at N360-N361/$1, then your imports will be uncompetitive; when the NNPC, or whoever else is importing, has access to forex at $305. So, if they try to import, the landing cost of the product will be uncompetitive. They are not importing now because if they do so, they will lose money,” Isong explained. “Our members have been raising concerns about this. Any time there is increase in crude oil price, the flip side for us in the private sector is increase in energy cost. It is a major issue; some businesses consume a lot of energy like those in the manufacturing sector; even hotels and hospitals, they run almost permanently on generators. 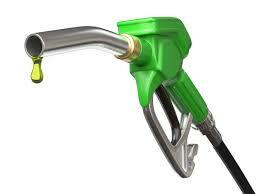 So, the impact of the diesel price hike will be very high,” Yusuf told our correspondent. He added, “The high oil price also heavily penalises businesses because their energy costs go up significantly and that affects the cost of production; it affects their prices, sales, turnover and profits. It has a chain effect on their operation. So, it is something to worry about. The LCCI DG said the availability of regular power supply would have helped to reduce the dependence on diesel-powered generators by businesses, adding that the power sector reform had not proved to be successful. The Vice-President, Industries, Association of Small Business Owners of Nigeria, Mr Kayode Okanrende, said, “Unfortunately this (diesel price hike) is happening at a time when we still believe there is a recession; when we believe that the populace hasn’t got purchasing power to even buy. So, we are constrained to increase prices and yet our costs are increasing. “In effect, we are torn between the devil and the deep blue sea. What do you do? Lay off staff or negotiate reduction of salaries when people are even crying that the salaries are not even enough to meet their basic needs. We would have been happy if we don’t have to buy diesel; if energy supply had increased.